Did you know that Teacher Appreciation Week is around the corner? I don’t know how teachers do it . . . putting up with all of the craziness children throw at them on a daily basis. Some days I can barely even handle my own children, let alone other people’s kids. Teachers truly are special people, worthy of a week devoted to making them feel appreciated! 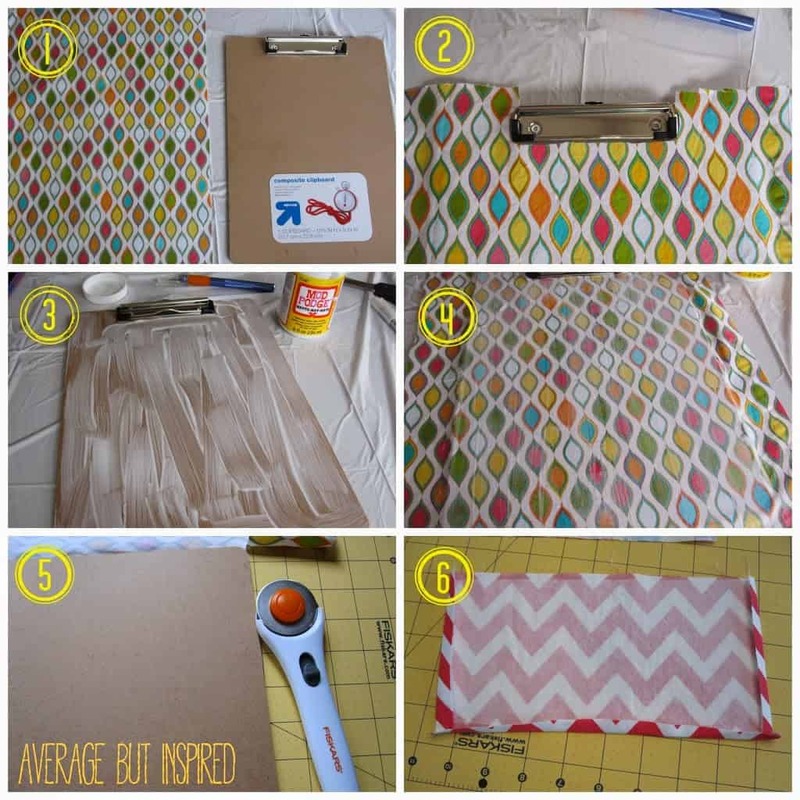 I always like to give teachers little gifts throughout the year, and one of my favorite teacher gifts is these DIY Fabric Covered Clipboards. 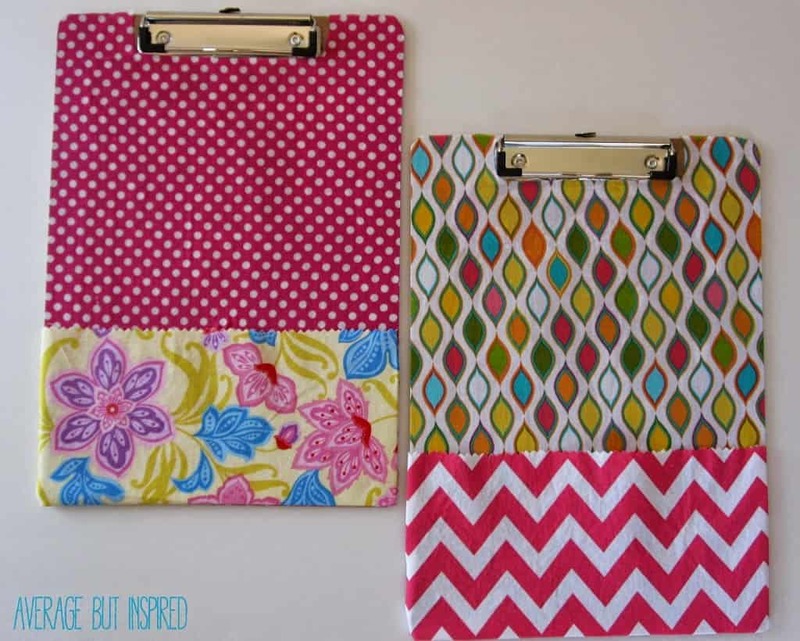 Swap out teachers’ boring, plain and uninspired clipboards for these fabulous fabric covered clipboards! 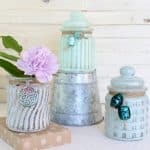 This is a great Teacher Appreciation Week gift, or a gift for anyone who likes to be organized! Seriously, how cute are these?!? This project was really fun to put together and I love the end result. If you want to make your own, keep reading! 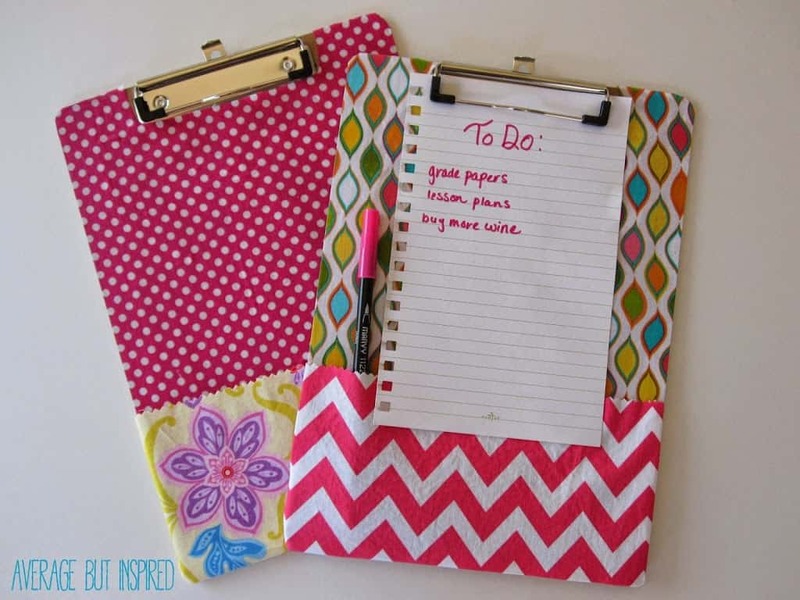 It’s so easy to make these clipboards! Cut your base fabric slightly larger than the size of your clipboard. Cut a space out of the top of the fabric to accommodate the clip portion of the clipboard. 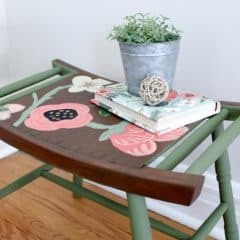 Apply a layer of Mod Podge all over the clipboard. Place your fabric over the Mod Podged clipboard. Smooth out any wrinkles. 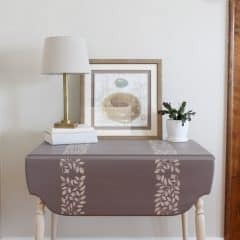 Apply a layer of Mod Podge all over the top of the fabric. Once the Mod Podge has completely dried, flip the clipboard over and cut the excess fabric from around the clipboard. I used a rotary cutter and it worked very well. 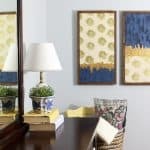 You could leave your clipboard as is, but if you want to add a pocket to the bottom of the clipboard, cut a rectangular piece of fabric 1″ taller and wider than the bottom portion of the clipboard. Flip the fabric over and fold three sides in .5″ and iron for a crisp seam. Hot glue those pressed in sides to the bottom of the clipboard to form a pocket. Note that I applied an iron-on stabilizer to the fabric I used for my pocket, just to give it some extra strength. I also trimmed the top portion of the pocket with pinking shears to ensure that the fabric won’t fray with time. I love how the pocket can be used to hold pens and other small accessories, and I like how the contrasting fabric gives an extra dose of personality! 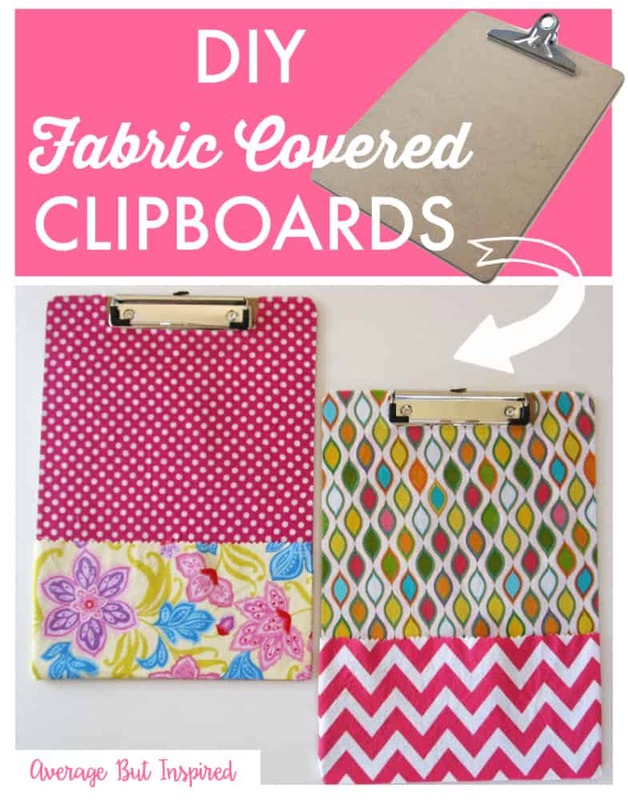 These fabric covered clipboards are sure to be a welcome addition to any classroom! How will you be recognizing the teachers in your life this Teacher Appreciation Week? Thank you, Thank you, Thank you! 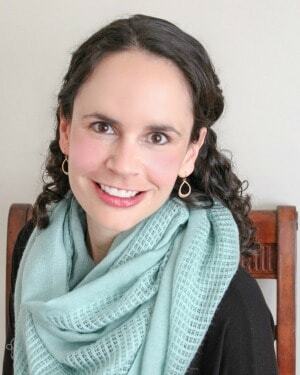 I am a former teacher and I so appreciate your wonderful words and respect for teachers. I also love this gift. If someone had made it for me I would have loved it as a teacher and made all kinds of use of it. Thank you again! Pinning! Cute and what a great idea for a teacher gift. It’s so hard to think of things they can actually use. These are really great! I am definitely going to try this. What a cute idea! I love it. Happy SITS Day! How cute are these? I teach College students- I love my kids but there’s no way I could do what these teachers do every day! Happy SITS day to you! These are great! And so easy! Thanks for sharing such a good idea. Fantastic idea. So easy. Thanks for sharing Happy SITS Day! So fun and easy!! Thanks for a doable post!! Happy SITS!! 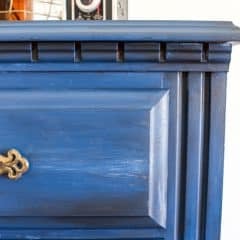 I love all these projects (AND your blog design!)!! Can’t wait to try some out 🙂 Happy SITS day! This is so cute and I think even I could do it. My favorite thing is the pocket at the bottom. Happy SITS day! Great idea and such a nice gift! Stopping by from SITS! I’m terrible. I rarely get my kids’ teachers things. I have no good excuse. Especially with this cute project. Awwww, SO CUTE!! i love this idea. I don’t have kids in school (and I myself graduated a thousand years ago, LOL) BUT think this would make a great gift for teacher friends 🙂 Thanks for sharing and hope you are having a wonderful SITS day!! What an awesome gift idea! Although I’m with Anna… I need to make one for me! 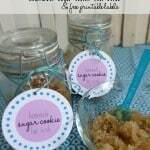 Wonderful idea and so easy! I NEED easy. Happy SITS Day! Wishing you a great SITS Day! What a super cute idea! Happy SITS day! These are so cute! I love the idea of the pocket on them. I need to make one of these for myself – thanks for sharing. Oh, thank you for the reminder about teacher appreciation week! This is a great idea. 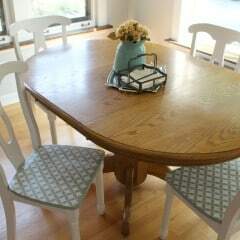 Plus, I love anything with Mod Podge. What a cute idea! I love how you added the pocket, too. This would be extra as a class gift if you used plain fabric and had all the kids sign it. Thanks for the inspiration!